One year after the bankruptcy of Lehman Brothers, Bob McDowall at TowerGroup reviews the United States government's decision not to provide financial assistance to Lehman Brothers in its fight against bankruptcy. The United States government was right in principle not to save Lehman Brothers from bankruptcy but it acted too late. It should have forced the industry to address the financial pressures that were simmering for over a year before the Lehman Brothers crisis, through legal and taxation pressures if necessary. By the time of the Lehman Brothers crisis the industry participants were concerned exclusively in safeguarding the future of their own businesses. The industry had anticipated that the United States government would play a significant role in saving Lehman Brothers from bankruptcy for the sake of the broader financial stability of the national and global financial system. Credit and money markets froze in reaction to the bankruptcy. During the next month, the financial stability of banks and national banking systems suffered from a loss in investors' confidence. Central banks, national governments and financial regulators were obliged to intervene to stabilise the financial systems for the sake of the broader national and global economies by recapitalisation of banks and injection of liquidity into the banking system. The industry lamentably failed to address, on a collective industry basis, the financial pressure that led to the bankruptcy of Lehman Brothers without regulatory or legislative interference, though it had at least a year to do so. Globally, the securities industry globally was aware of the market and financial pressures that led to the bankruptcy of Lehman Brothers. 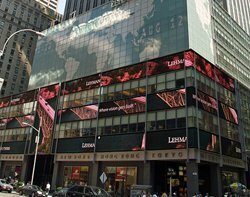 The financial pressures were evident for over a year before Lehman Brothers' bankruptcy, yet the industry did little collectively to address the pressures situation. The pressures publicly manifested themselves in August 2007, when the industry reacted to the over-inflated pricing of the US residential property through withdrawal from the highly liquid, mortgage-backed securities market, in effect freezing that market. Smaller, but historically significant reactions followed in Europe in September and October 2007, for example the major United Kingdom mortgage bank, Northern Rock, that significantly relied on and was financially exposede to the mortgage-backed securities market, was supplied with emergency funding by the UK government, though ultimately succumbed to nationalisation. The industry put itself on a phoney war footing for the next year but it did not attempt to address the issue on a collective basis, anticipating that financial regulators, central banks and national governments would take steps to address any crisis that affected the stability of the financial system. National governments, financial regulators and central banks reacted with market and fiscal intervention, which, they believed, would alleviate the financial pressures. All parties, industry and public authorities hoped and prayed the crisis would be "over by Christmas ". The forced sale of Bears Stearns was but one of the significant events that indicated the financial pressures were increasing. Those pressures continued until the volcano erupted with the inability of Lehman Brothers to meet its financial obligations. Ironically, a year after the bankruptcy of Lehman Brothers, governments and financial services are inextricably bound together through state shareholdings in banking institutions and the multiplicity of additional regulatory obligations being placed in the industry. If the industry had placed its community of interest ahead of competition to manage itself out of the simmering crisis in 2006/2007, it would not have been burdened with the current scale of government intrusion. This article is based on research by the Bob McDowall at TowerGroup, a leading research and advisory services firm focused exclusively on the global financial services industry. He can be reached at BMcDowall@towergroup.com.